I turned 56 years young today. How has your week been going? Mine has been very busy, it really feels good to be back crafting and having fun doing so. Pam told me that Mary from Cardz TV was doing this weekly KIT & KABOODLE SKETCH so I had to check it out. I love the concept of what Mary is doing. She is cutting out a bunch cards using that weeks template. I decided rather than cut out a bunch at one time I would just create the template each week in Silhouette and of course save it for future use. This is the template for week 2. If you are interest in this template or to see the cards Mary created with this template just click here. Cards for sketch 1 and 3 are scheduled to post in a few days. 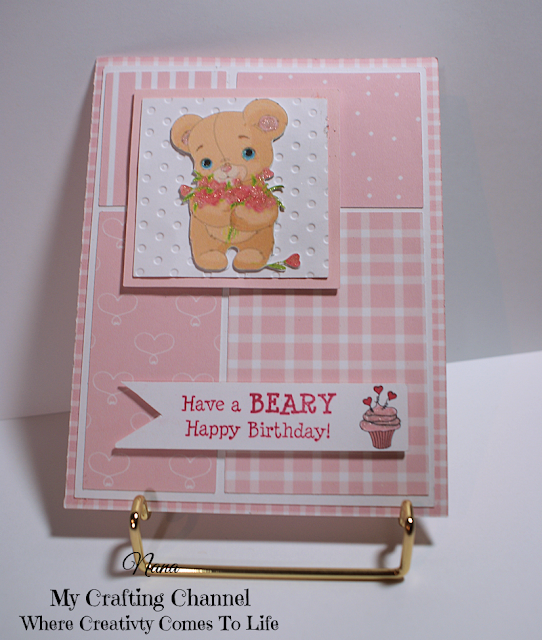 I love the soft muted colors I used on the card and that sweet little bear is adorable. What say you? Stamp from Cardz TV "Beary Sweet"
Happy,Happy Birthday Nana!!! Hope you have a wonderful day with your family, my friend!! Your card is Beary sweet!!! Love the color and that darling bear!!! Have a awesome day. HAPPY BIRTHDAY Nana! I hope you have a Fabulous Day! And your card is so sweet! Really adorable image! :) HUGS! HAPPY BIRTHDAY my dear! I hope you have had a great day (yes, eat yummy cake and ice cream like Lisa said)! 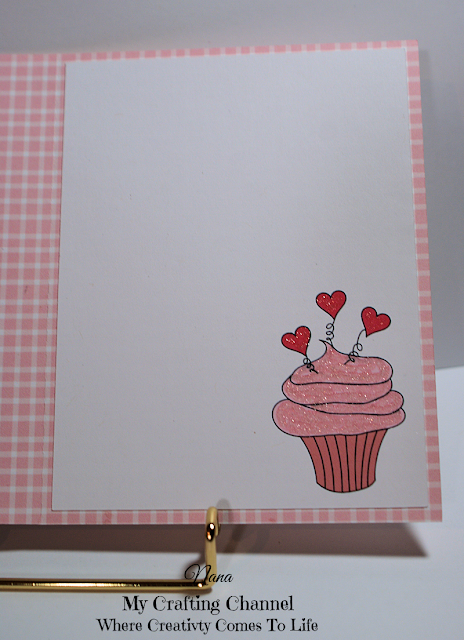 Love this darling card! It is just adorable! Happy, happy birthday to you my friend! I hope you've had a wonderful celebration! Your card is just adorable, and that little teddy is huggable! I'm loving that sweet cupcake also!